Home/Featured Partner/The Contract Zone Is Coming! The Flooring Show continues to grow, and for the 2017 edition, will be introducing ‘The Contract Zone’. Featuring a central display of the latest trends and innovations in the contract flooring sector, and surrounded by exhibition stands, which will host key brands, this latest development will be one not to miss for architects, interior designers, facilities mangers, developers and contract managers. Located in Hall Q, this exciting new area is supported and sponsored by the Contract Flooring Association, who will also be running a Demonstration Zone with a specific focus on contract flooring in the same Hall. Also located in Hall Q will be the Trends Hub, once again curated by Scarlet Opus, and a specific seminar area, which will host CPD certified seminars, giving visitors from the contract sector a chance to add to their professional development. After listening to feedback from visitors to the 2016 Flooring Show, event organisers, Wendy Adam’s Associates, have developed this specialised area to meet the huge demand for a Contract Zone. Being such a significant sector in the flooring industry, The Flooring Show is delighted to be introducing, what will hopefully become, a principal area of future shows. 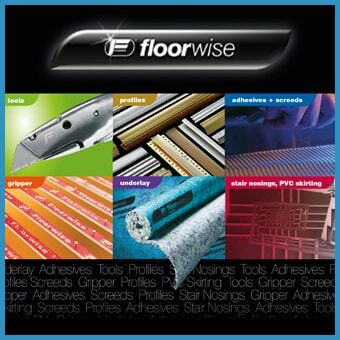 To keep up to date with the Contract Zone and The Flooring Show, head over to the website www.theflooringshow.com. In the run up to The Show, keep up to date with everything you’ll need to know by following The Flooring Show Facebook and Twitter, we’ve got you covered.